Are you the next SDG Pioneer? 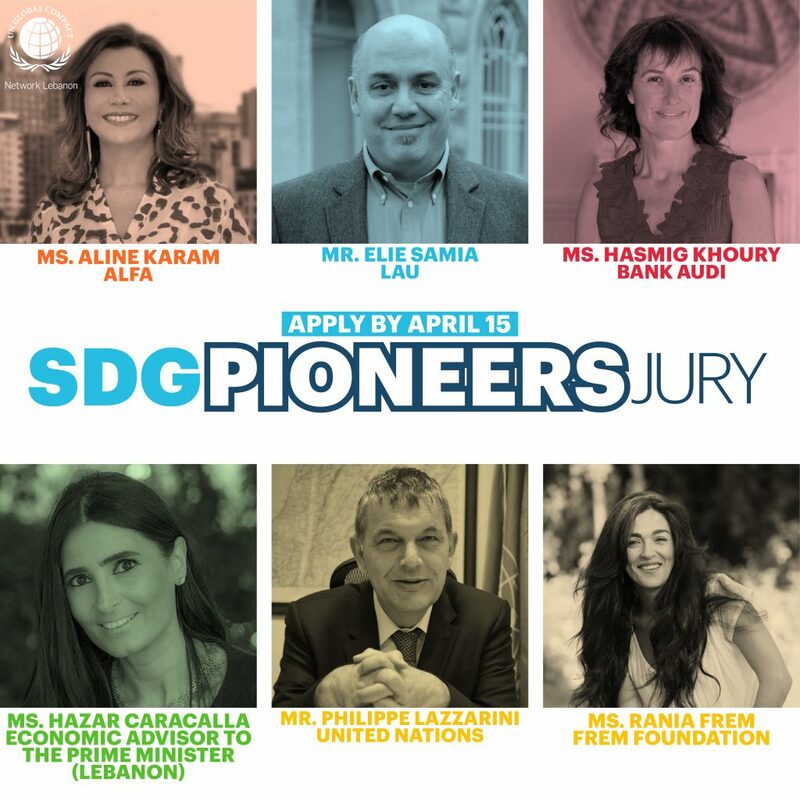 The 2019 SDG Pioneers – Lebanon will be announced this May. Are you a business leader advancing the Sustainable Development Goals (SDGs) through a principles-based approach, or do you know someone who is? Through their own company or by mobilizing other businesses, SDG Pioneers help advance one or more of the Sustainable Development Goals while also contributing to business success. Who are the 2019 SDG Pioneers? 2019 SDG Pioneers are Young Professionals (35 and under) — working at any level in a company — who are doing an exceptional job of making global goals local business. Through their own company or by mobilizing other businesses, they are helping to reach one or more of the Sustainable Development Goals (SDGs) while also contributing to business success. Young Professionals (35 and under) who are working at any level of a UN Global Compact Participant or Signatory company are eligible to apply or be nominated. To check whether an organization is a UN Global Compact Participant or Signatory company, please search the participant list online. If your company has yet to select its engagement tier, please see here for more information and to select your engagement tier. For the 2019 SDG Pioneers, we only consider companies who have joined the UN Global Compact by 24 September 2018 and have submitted at least 1 Communication on Progress (CoP). If your company joined after the date, please consider applying for the 2020 SDG Pioneers programme. The UN Global Compact reserves the right to remove the SDG Pioneer recognition if the company and/or individual is later deemed to be a reputational risk to the SDG Pioneer campaign and/or the UN Global Compact initiative. What if I am affiliated with but not directly employed by a UN Global Compact signatory? You are only eligible to apply or be nominated if you are either employed by the company (or its subsidiary). My company does not yet participate in the UN Global Compact. Can I still apply? Only individuals from a UN Global Compact Participant or Signatory company will be eligible to apply or be nominated. If your company is not yet participating in the UN Global Compact please visit our join us page to learn more about how to join. You can nominate yourself or a colleague at your company, or someone you know from another UN Global Compact participating company. That individual will then be contacted to ensure their willingness to be considered and the accuracy of the submitted information. How do I nominate myself / someone who I think is doing great work? Please complete the online submission form, which is available here. To nominate someone, click here. My organization is doing great work. Can it be nominated? No, the SDG Pioneers campaign highlights the work of individuals, not organizations. What is the nomination deadline? The nomination deadline is April 15. How will the SDG Pioneers be selected? A multi-stakeholder SDG Pioneers Selection Group will vote on the nominees. The SDG Pioneers Selection Group will be comprised of representatives from: the Global Network Council, UN Agencies, PRME Champions and civil society representatives from the UN Global Compact Board. How and when will I be notified if I was selected? SDG Pioneers will be informed of their selection by early August. Due to the volume of nominations received, we may be unable to contact nominees who are not selected. How will the SDG Pioneers be recognized? What will I receive if selected? 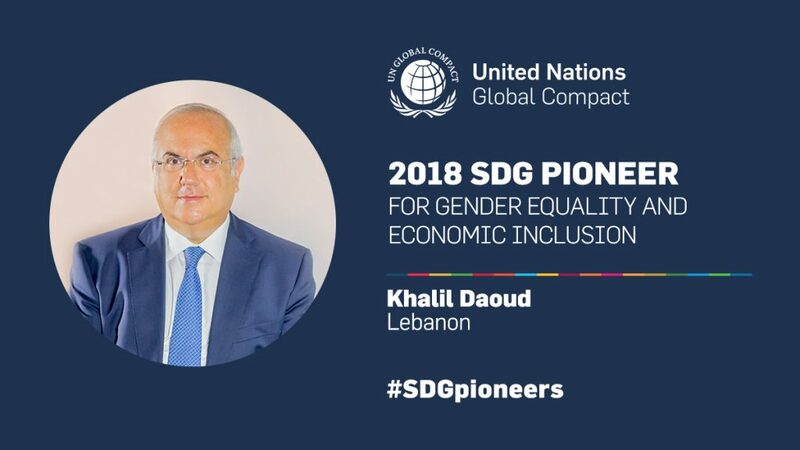 The SDG Pioneers will be announced and celebrated at “UN Global Compact Leaders Summit, September 2019, United Nations Headquarters, New York” and “Making Global Goals Local Business, October 2019, Lebanon”. The SDG Pioneers will receive visibility and be recognized for the great work that they have done to advance the Sustainable Development Goals. Please email bruna@globalcompact-lebanon.org with any additional questions. February 20, 2019 Are you the next SDG Pioneer? And get notified about latest news, events and more. Register for this upcoming competition.